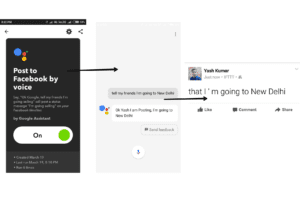 Google Assistant : Hi There, This is Yash and Welcome to Bigtricks. 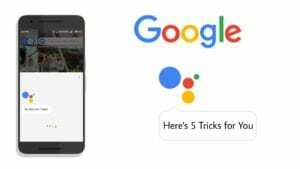 We’re back here to show you 5 Amazing Google Assistant Tricks that you should definitely try. It’s second part will also come so keep visiting Bigtricks. If you haven’t got Google Assistant. 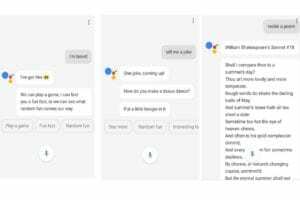 Then Check This Out : Get Google Assistant on Any Smartphone. 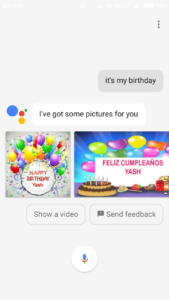 You’ve to Say its my birthday or Okay Google its my birthday. You’ll Get Photos of Birthday Cakes, Cards etc. With your Name Written on it. It’s Really Cool. Isn’t it? 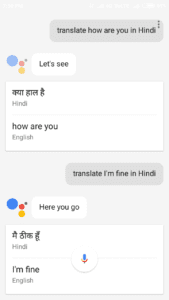 Google Assistant also helps you in translation. You can translate from one language to another. It also comes handy if you want to learn any language. Just Say Okay Google Translate and then Your Text and In which language. While taking selfies we have to click on capture button or press the volume button. 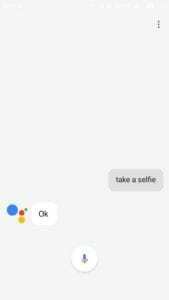 So Taking Selfies via Google Assistant is a bit easier. Just say Take Selfies and then it’ll launch Your Camera App with 3 seconds counter. So Now taking selfies is more convenient. This is the Coolest of All the work Google Assistant can do. It’s my personal favorite. 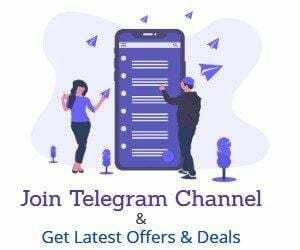 For This You’ve to Download Ifttt App : Download Now. Then Go to Search>Google Assistant>Click on the First One>Scroll down until you see Post to Facebook by Voice>Give it all permission. Now Say Tell my Friends or Post to Facebook and then what you want to post. When you’re bored, and don’t have much to do, you can use Google Assistant to keep you entertained for a long time. Say I’m bored to Google Assistant and it will give you a list of things that it can do to keep you engaged and entertained. Like Tell me a Joke, Recite a Poem etc. So Guys These are the 5 Tricks for Google Assistant that are my favorite. Another 5 Tricks for Google Assistant you’ll get in next Post very Soon. Comment down below to tell us which one you liked the most.